We match our fingerprints countless times every day when we access our smartphones through fingerprint readers. A clean, whole fingerprint is essential to perfecting this match. 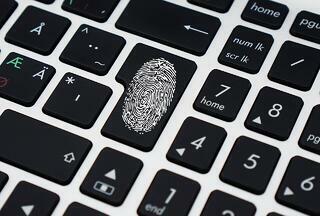 But as a forensic process, fingerprint analysis is a little dirtier, as it were. Latent prints from a crime scene often are smudged, distorted, incomplete and partial in their imprint. The result is a forensic science that often relies on subjective interpretations among expert practitioners. A data breach can have serious consequences, including erosion of brand reputation and loss of shareholder value. Today, as high as 60% of breaches take more than 90 days to be discovered, thus posing a serious threat to organizations. Data centers continue to grow, as have security risks to data center software security, data center hardware security, and data center security services. Governments and law enforcement agencies consider video surveillance necessary to ensure control, monitor threats, and prevent and investigate criminal activities. Given its advantages and success in reducing crime, video surveillance systems are increasingly used in residential, transportation, retail and hospitality industries as a safeguard against safety and security risks. Nearly two years after Japan shut down its nuclear power plants, the country brought its first reactor back online this month.